Boarding doesn’t need to be stressful for you or your cat! A Cat Clinic offers Cat Boarding for medical purposes, whether you are going out of town for an extensive stay, or you need to board your feline family for a quick overnight. Patients in our medical boarding accommodations enjoy the beautiful view of our wooded backyard, while being checked at least twice daily by our staff, including weekends and holidays. …is safe, clean, and quiet. 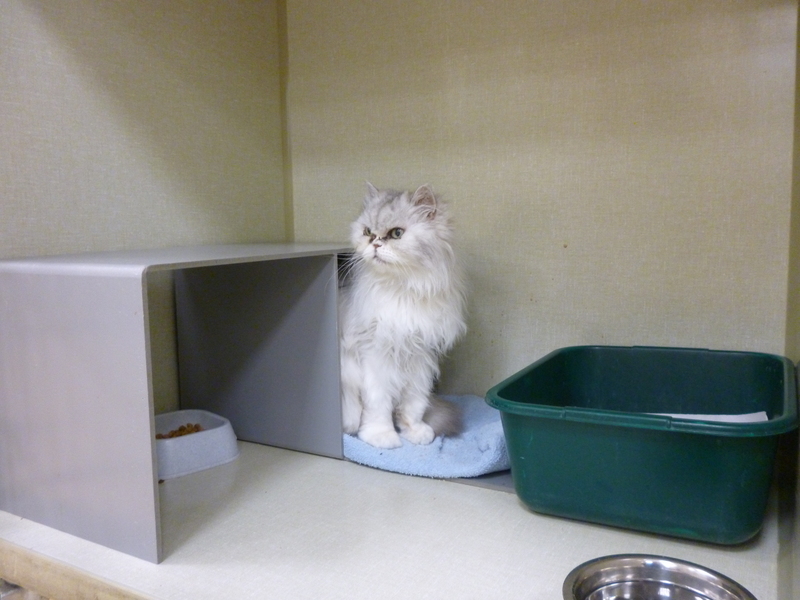 For extra-shy cats we make certain they have a place to hide to feel even safer. When you choose to have your cat stay with us for medical reasons they will have their health, appetite, and behavior monitored daily by technicians that work directly with our doctors. We specialize in diabetes, hyperthyroidism, and kidney disease. Please note that boarding accommodations are reserved for current patients only. Not a problem! Just schedule a check-up with us at least 14 days prior to your cat’s scheduled arrival date. This way we can make sure everything is all caught up and your cat is in a stable medical condition as determined by one of our doctors. We want your cat’s stay to go as smoothly as possible, so this gives us time to do any vaccinations or lab work that might be required prior to your visit, or discuss with you any medical conditions that might be affected by a stay away from home. All boarding accommodations are reserved with a deposit, which is refundable up to 3 days prior to check-in. We request that you pack your cat’s regular diet, medications/supplements. If desired, bring a small washable blanket or shirt that smells like home. 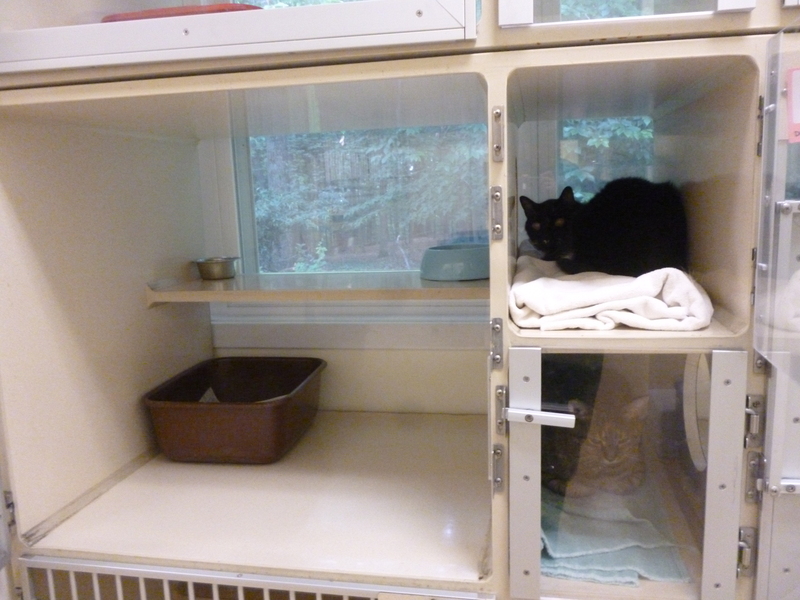 Each kitty needs their own reservation and accommodation. 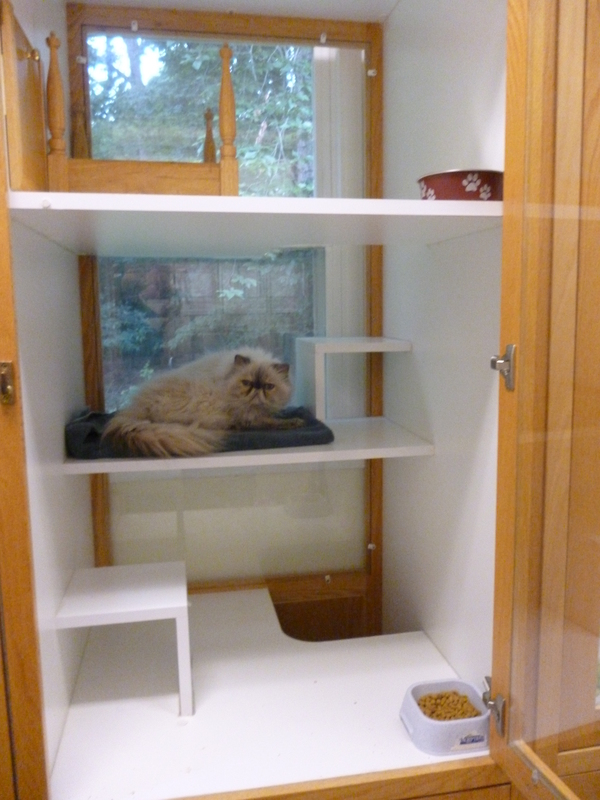 The Kitty Condo, and Room with a View can each be opened so that cats in the same family may visit back and forth during supervised hours. Please download our Boarding Brochure for more information about each type of boarding accommodation, or contact us today for reservations and pricing. For medical cat boarding for residents of Boyds, Germantown, Clarksburg, Gaithersburg and surrounding areas in Montgomery County, contact us at A Cat Clinic to schedule an appointment or reserve boarding accommodations for your feline family!